Facebook was founded in 2004, and the rest is, practically, history. It became the most popular social media website in the world and provided a plethora of personal and business opportunities to every user. According to some estimates, there are more than 1.86 billion monthly active users, the number of active users increases by 17% each year. What does this mean for you? This social media website can do wonders for your business, and it is a tool that every marketer or business owner should use. 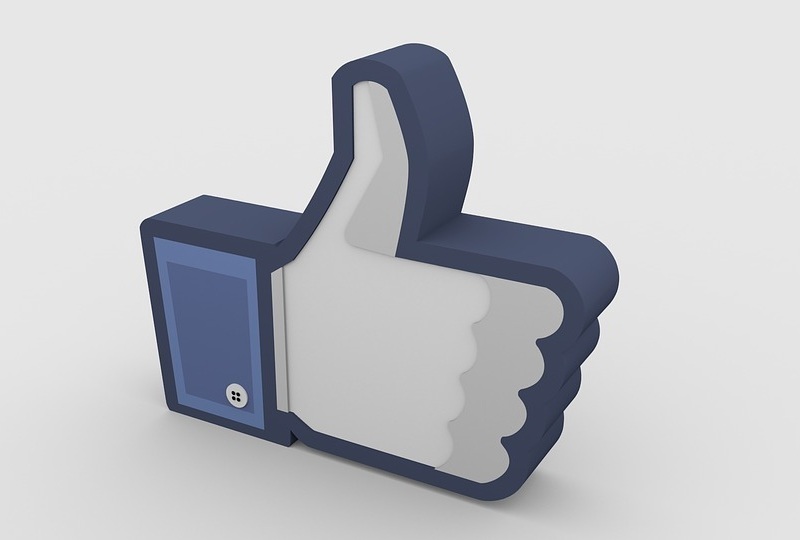 Of course, to succeed on Facebook, you have to increase engagement of people who like your page. Keep reading to find out how to do so. Questions spark dialogue between people, thus increasing engagement on your page. You have various options here; posting questions alone or you can share a content e.g. blog post from your website and add an issue that would also make someone click on that link. The latter option is a win-win situation, more engagement on Facebook and more traffic on the official website. Influencer marketing is the most popular marketing strategy nowadays. It revolves around establishing collaboration with bloggers or vloggers who post content featuring products or services you provide. They promote business in a subtle and non-invasive manner. An influencer publishes a post and tags your page, thus navigating traffic to your Facebook and, thereby, more engagement. Of course, to make this happen, you need to do social media outreach and find an ideal influencer for your business. Ideally, it is a person with a lot of followers and high engagement rate on their profile, and someone associated with your niche. Logically, posting content at the time when most people who “like” your Facebook page are active is an effective way to get more engagement. So, what is the right time to post on Facebook? The truth is; there are numerous answers to this question, which is why you should be careful. According to Hubspot, the best time to post on Facebook is on Thursdays and Fridays from 1 pm to 4 pm, on Wednesdays between 3 pm and 4 pm, and on Saturdays and Sundays between 12 pm and 1 pm. TrackMaven suggests that the optimal time to post on Facebook is on Thursdays at 8 pm, while CoSchedule claims you should post 1-4pm late into the week and on weekends for best engagement. On the other hand, Buffer reports the best time to post is early afternoon during the week and Saturdays and Buzzsumo insists the off-peak times generate the most benefits. As you can see, it would be impossible to find one answer about this subject. All these studies can be beneficial and give you a few pointers, but at the end of the day, you should be careful. Don’t assume one of these studies is right or wrong, each of them used different metrics to investigate the best time to post on Facebook. While you should take these suggestions into consideration and try them out, you’ll greatly benefit from data in the Insights section of your page. There, you can see when fans of the page engage the most and use the information to plan your strategy. You know what they say; a picture is worth a thousand words. Well on Facebook it is worth even more than that. Out of all social media platforms, people and businesses use Facebook the most. While other websites prefer one action e.g. Instagram with photos, on Facebook, you can do it all. 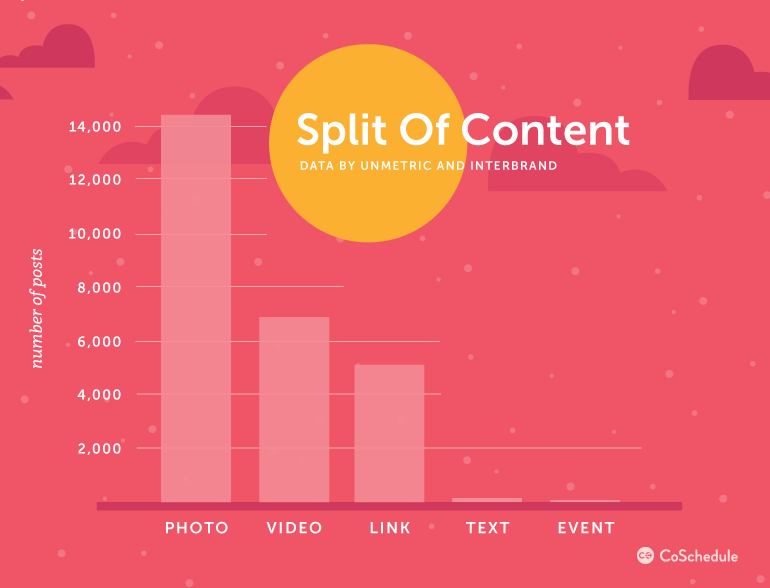 In 2016, 80.20% of all the Posts published were photos and videos. These were responsible for 92.15% of all interactions that these brands received on Facebook. Your goal is to make the posts noticeable, and the best way to accomplish it is through pictures. They stand out, and they’re more likely to induce some reaction from a user. As a result, the engagement grows steadily. What makes photos so practical is that they are clear, concise, and easily digestible to someone’s mind. Pair photos with a winning caption and you have a winning combination. Go one step further by adding shortened URL that will also navigate traffic to your official website. Photos are versatile, and possibilities are, indeed, endless. There is a difference between content that fans want to see and posts that you want them to see. When you’re working to increase engagement, you need to start posting things that people find interesting. It is not uncommon for businesses or other owners of Facebook pages to assume that just because they are a part of an individual industry, all content should be related to that field. Of course, posting content associated with your niche is important, but feel free to broaden the type of posts you share. Let’s say you own a gym and want to increase engagement on its Facebook page. Although people who like that page clicked the “like” button because they are interested in the gym, that’s not what they want to read about all day. If you start posting updates about the gym itself, people might find it annoying. You can add more versatility by posting exercise tips, proper nutrition, and other updates that people might find practical. This is still related to your niche, but it doesn’t revolve around the gym. The key here is to find a balance between these two forms of posts. Facebook games are quite popular for many reasons. They improve your relationship with people who follow your Facebook page, which is always important. Regardless of your niche and profession, your success online and offline depends on establishing trust with other people. Contests are an excellent way to reward loyal fans, but they do so much more than that. They significantly increase the engagement rate, and they get users to check the Facebook page frequently to see whether they won. Come up with a nice reward and write down rules. If you mention that to participate all fans should also invite 2-3 friends to like the page and leave a comment, you’ll increase the number of followers on Facebook and give a significant boost to the overall engagement. It is not uncommon for admins of Facebook pages to easily ignore people, their comments, and questions. That is a wrong move because writing a simple reply can do wonders for the engagement rate. Don’t be one of those people who put a lot of effort into getting people to like the page only to ignore them once they write something. Check the comment section or visitor’s posts throughout the day and reply as quickly as possible. Of course, there are always some trolls who post comments to get attention, but in most cases, people just want to communicate, get answers to their questions, or help with an issue they’re experiencing. Replying to people will make them feel appreciated, and besides better engagement, this action contributes to your reputation, and you are more likely to retain customers or clients. Do you include a call to actions in your Facebook posts? If not, you should do so! They provide psychological nudges that help you drive the audience to engage in the manner that you want. Fans or people who like your Facebook page tend to respond better when they are given specifics as to what or how to answer to. You have plenty of options here. If you want more traffic on the official site, you can create a call to action that will instruct fans to click the link. On the other hand, if you want more traffic, then you can create a call to action that will make fans comment and discuss. As you can see, Facebook videos are a powerful engagement tool, and they allow you to express your creativity. You can make a video of a typical work day. Also, you can show what’s going on “behind the scenes.” Let’s not forget your video can also include some relevant information where you or someone else can give useful tips to followers. You can do everything you’d like or something that other people would find interesting. There is also a live feature, which is yet another way to get more engagement. Host Q&A session, live giveaway; provide a live stream of some event you’re hosting/attending. Facebook is the most popular social media platform in the world. Billions of people use it on the daily and monthly basis. A website is an essential tool for business too, but besides getting more likes to your page, you also have to engage your audience. There are numerous ways to boost the engagement rate, and this article provided nine useful tips you can use.